Hi, my name is Adam, and I'm a sauce-a-holic. Yes people, I have an addiction... to Ketchup. I smother it on everything, from mashed potato, to turkey sandwiches, and even my eggs in the morning. If I get to the fridge to find that little bottle empty and I have none to put on my scramble, it can send me into a Mel Gibson type tirade, screaming obscenities into my refrigerator and knocking out it's too front draws. Sometimes when I wake during the night I swear I can hear that little tub of red heavenly goodness beckoning me from the refrigerator, tempting me to lather it onto anything I can get my hungry little hands on. So what's so bad about ketchup? I mean it's just a whole lot of tomatoes that have been smooshed and pureed into a bottle right? Wrong. Turns out it has a lot of other ingredients added in which can not only unassumingly ruin even the most diligent eater's weight loss plan, but can destroy your health also. 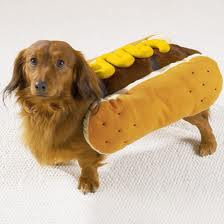 Today we are going to take a look at not only ketchup, but all condiments, what's lurking in them that you don't know about, which are the good, and which are the ones making you fat. 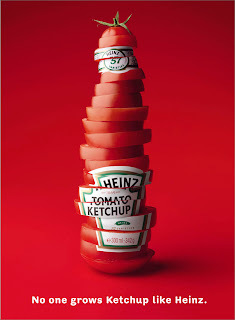 When you think of Ketchup, you think of Heinz. The company has been putting it on our tables for decades, but if you head to their website to find out what's really in their products, they will tell you that they only have natural real ingredients, and send you from page looking for the actual ingredients until you don't find them and give up. That's what happened to me. They have good reason for doing this, because while they may use "real" tomatoes, what they don't tell you is that the third ingredient is High Fructose Corn Syrup. It is an incredibly cheap form of sugar, hence why they use it, but not only that it has been reported to be such a high concentration of sugar (fructose) in liquid form that it actually by-passes all the mechanisms in your body that would normally use it for energy, and goes straight to your hips to be deposited as fat. 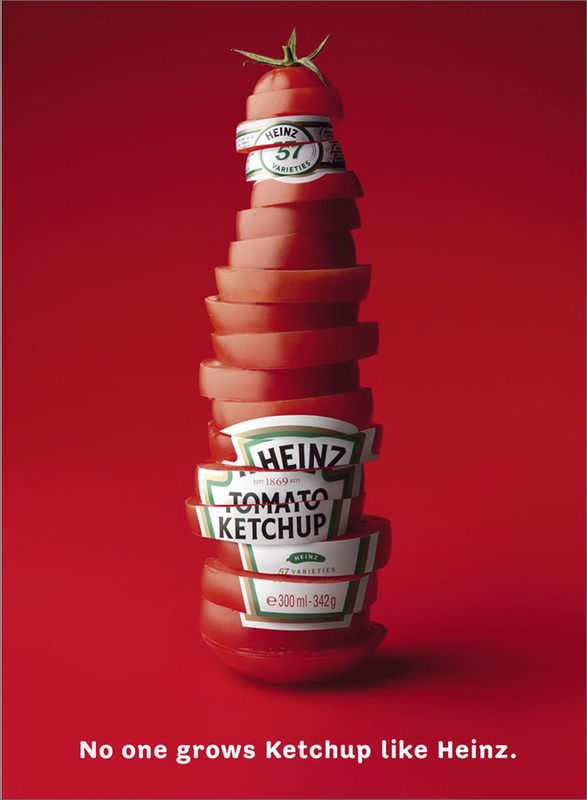 Heinz offers a reduced sugar variety, but that is laden with artificial chemical sweeteners, and their organic ketchup still contains added sugar. My advice would be to find an organic brand that adds little or no sugar. All chefs and most budding cooks out there know what's really in BBQ sauce, and we know you cannot make your own without sugar. It's a given. What you don't know is that some of the grocery store bought varieties actually have sugar as their first ingredient. Lets take a look at Sweet Baby Ray's Original BBQ Sauce, who not only has it as their first ingredient, but like Heinz use the cheapest version and the one that's the worst for our waistlines - High Fructose Corn Syrup. Not only that, but they use artificial ingredients like "modified food starch" to give it a nicer texture and longer shelf life. They also throw in some sodium benzoate, which is used by food manufactures to prevent the growth of mold in products, but what is worse is that it's ingestion by humans has been suspected of causing cancer. Salsa is an excellent low calories alternative to the ones above, one that I always have stocked in my refrigerator to dip some carrot and celery sticks into, and also use to make a mean salsa chicken breast with veggies. Different varieties vary in caloric content, from 10 to 20 per tablespoon, but they generally contain only natural whole ingredients such as tomatoes, peppers, vinegar and spices. 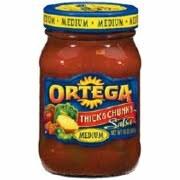 My favorite brand is the Ortega Thick and Chunky Mild Salsa. I have never really been a fan of mayonnaise, or any condiment or sauce that is creamy for that matter, but I know people who later it on sandwiches, drench potato and chicken salad with it, and dip their fingers straight in the stuff. But it doesn't take a brain surgeon to know the stuff is laden with bad calories, and the main ingredients are oil and egg yolks. Just one tablespoon has 90 calories and 10 grams of fat, and adding just two tablespoons to your burger or salad dressing and you could be on the treadmill or elliptical for 20 minutes just to burn it off. Not concerned with calories? How about your health? 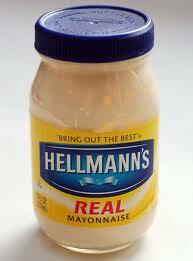 Hellmann's "Real" mayonnaise lists soybean oil as their main ingredient which, once again, is a cheaper oil for food manufactures and once used in the automotive industry as an ingredient in paint. There are so many varieties of mustard out there, and if you think it is low in calories and contains only mustard seed and some herbs and spices, then you would be right. It has been reported to tout some benefits and It has even researched to speed up your metabolism. I use Dijon Mustard everyday to create thick salad dressings, with little to no calories. Just be careful with the sodium content. Some brands have higher levels of salt than others, and with such small serving sizes, you could easily consume close to half a days worth of sodium in one meal if you are not careful. As I am writing this, I realize that because of the large amount of salad dressings out there, and because some are low in calories but the majority are in high calories, I think I am going to do a whole post about them. But until then, here are a couple of tips to keep in mind when choosing a salad dressing so that the meal you are about to eat isn't looking back at you from your thighs the following day. 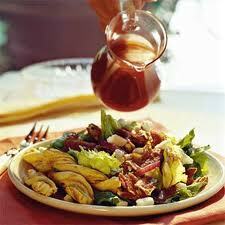 - Avoid any dressings with mayonnaise such as Ranch, Caesar and Thousand Island. - Just because it is "low fat" doesn't mean it is good for you. When they take out the fat, they add in sugar, giving you a dressing that can contain as much sugar as a candy bar and leave you with an insulin spike that will promote fat storage. Oh Lord, he we go. All I have to do is mention the word Soy on this blog and I get inundated with hate mail from hippies and soy food manufacturers up in arms that I blog about my opinion. In fact the article I wrote about it months ago still sees me get angry emails even to this day. The fact of the matter is that there is both positive and negative research and studies out there about the human consumption of soy, and I choose to believe one over the other. I'm not going to go into and detail every study I looked at. Just google it. It is there for everyone to see. 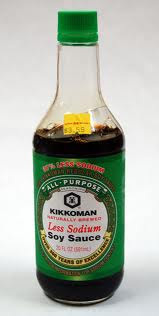 Strangely though, and some news that may make these hate mongers rejoice, is that I actually like soy sauce and use it a lot. It is a lesser processed soy based product, that hasn't been chemically altered like a lot of the others, and is low in calories, around 10 per tablespoon. But make sure you buy the low sodium variety and watch your portion sizes or you could be consuming a couple of days worth of sodium in one sitting. 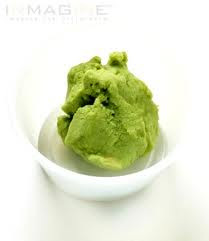 Wasabi is actually a herb, where the root has been ground into that paste you see at sushi restaurants. It is generally low in calories, around 15 per teaspoon (I'm sure you aren't going to use more than that) with the majority of that coming from carbohydrates. The main ingredients are the root with some mustard and cornstarch thrown in. Cornstarch isn't good for you, but in such as small serving size as this, it isn't something that you need to worry about. Jellies, jams and preserves have been around forever and can turn even the dullest form of bread or toast into some tasty goodness. But gone are the days when they were merely some berries mashed up and preserved in little glass jars your grandmother used to give you at Christmas. 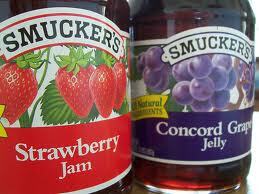 The second ingredient in ALL of Smuckers Jellies, from their Strawberry to their Blackberry, and even their Guava, is High Fructose Corn Syrup. Once again that nasty ingredient that is going to make you fat and give you a ton of health related issues such as Type 2 Diabetes and increases in bad (LDL) cholesterol. Look in your grocery store for natural and organic jelly and turn over to the ingredient list of brands to see what's in them before you buy. You can also mash up some berries and make your own, healthy jellies and jams. 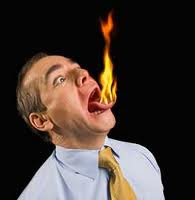 I can't do spicy food, I would rather swallow shards of glass and follow it with an arsenic chaser than have my mouth and tongue sending smoke signals to my local firehouse. But for those of you who love adding it your foods, you can rest at ease knowing that not only are the majority of them low in calories, most of them even having zero per serving, but they generally contain only natural ingredients. Frank's RedHot Original only contains only five simple ingredients; Aged Cayenne Red Peppers, Vinegar, Water, Salt and Garlic Powder. Use it to your heart, and mouth's, content. Another condiment which generally remains untouched by food manufactures and is low in calories and a great choice if you are on a fat loss diet. It is made primarily from chickpeas (garbanzo beans) which are incredibly good for you with their cholesterol lowering fiber and slow release carbohydrates for sustained energy. Be careful though, if you are not paying attention you could find yourself at the bottom of the container and with too many serving sizes guzzled up. 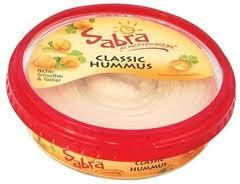 My favorite brand is Sabra Roasted Garlic...just chew some gum before you decided to delve into any deep and meaningful conversation with that tall dark and handsome you spy from across the room at the cocktail party. So there you have it. Hopefully this post has given you an insight into the condiments we all use in everyday life. Some are good and low calorie, while others will warrant an hour long spin class sitting behind sometime with tight pants and too much sweat just to burn it off. As with all with all my nutritional related posts, knowledge is power and you should always at least be educated on what you put in your body before you actually so. Then you can determine whether you can avoid some for a healthier option, or go ahead and smother that burger with tones of ketchup and enjoy every second of it. I always try to avoid stuff with garlic powder in the ingredients,cant remember why ,isn't it full of anti-oxidant or something ? 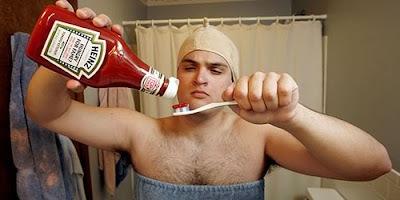 Heinz is in the process of removing HFS from all it's products. One of the big problems with HFS it that it is processed by the liver unlike sugar which goes through the kidneys. No big brand is removing corn syrup or HFS, they are just changing the name to sugar on the ingredient label. Corn is too cheap and they are too rich. Sugar is too expensive. (The labels)They're lying to you! Be safe people! Preserve your our stuff it's cheaper and better! They did it back then! Good post though!